Sony is planning to release a smartwatch completely made from e-paper, a Bloomberg report has revealed. The watch is reported to come from CEO Kazuo Hirai’s new business division that’s been set up to nurture new innovations. A decade of falling profits has hurt innovation at Sony, which was once the jewel in Japan’s technology crown. According to Bloomberg, the entire face and strap will be made from e-paper, which opens up huge possibilities for its design and appearance. Those sources also revealed that style will be the watch's main focus, rather than attempting to compete on features or specs. Using e-paper can yield huge improvements in battery life, with a battery life of weeks rather than days achievable, even with an always-on screen. The sources are only attributed as “people familiar with the matter” which is usually an early warning of complete nonsense, but since it comes from Bloomberg we’re willing to give it a little more credence. The news comes just a week after the FES watch – another all e-paper watch concept – was released on Japanese crowdfunding site Makuake. It too features an e-paper strap that offers unlimited design combinations, and Sony will do well to match its high-end, simple design. 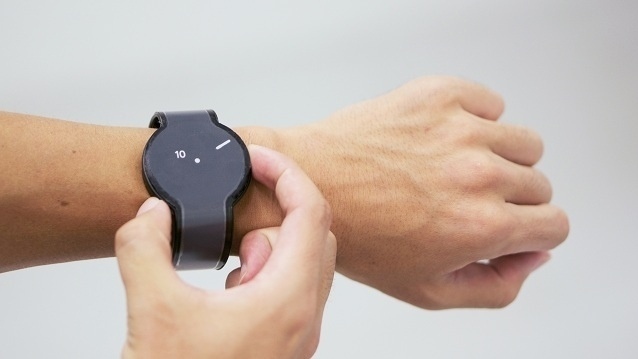 However, the makers of the FES watch opted not to include any smart features such as activity tracking or smartphone notifications, something we hope Sony will manage.